The above image of an eclipse last year (April 2014) marked the beginning of the current tetrad. A lunar tetrad consists of 4 lunar eclipses occuring every six months. The early hours of next week will mark the end of this year's lunar tetrad. This is called a 'Blood Moon'. The eclipse will spand from 02:07 am to 05:27am with the total eclipse at 03:11am , ending at 04:23am (BST). The Harvest moon is the nearest eclipse to the Autumn Equinox. The 'supermoon' phenomenom occurs when the Sun, Earth and Moon get together, coinciding with a total lunal eclipse. This will be the first supermoon in 33 years and won't repeat until 2033. The Moon's orbit around the Earth is not a perfect circle, therefore the moon is sometimes closer to the Earth than other times during orbit. When it is closer to the Earth, it is called a 'perigee' and soon we will see the closest perigee full moon of the year. 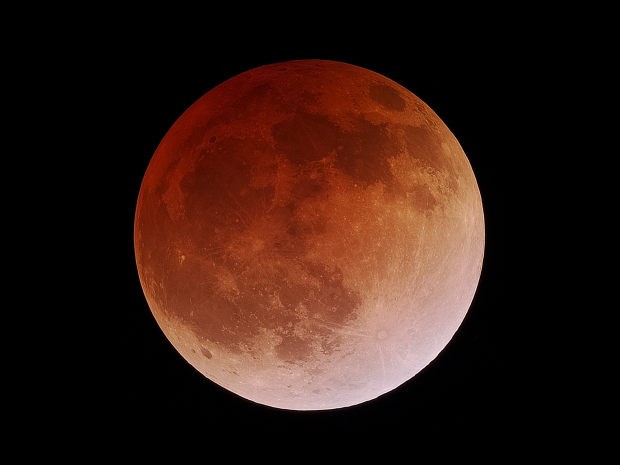 As the Moon passes behind the Earth into its shadow, a red tint will appear across its surface.